Ok, so I haven’t posted in a month, and it’s mostly because I wanted to finish the Tiger Cruise entries before posting anything else, but that’s not happening. I will finish them at some point, but it’s on the back-burner for now. So what’s happened in my life since the tiger cruise? I never did buy that truck. Evidently they found somebody else that was willing to pay their price. I did end up buying a new motorcycle. 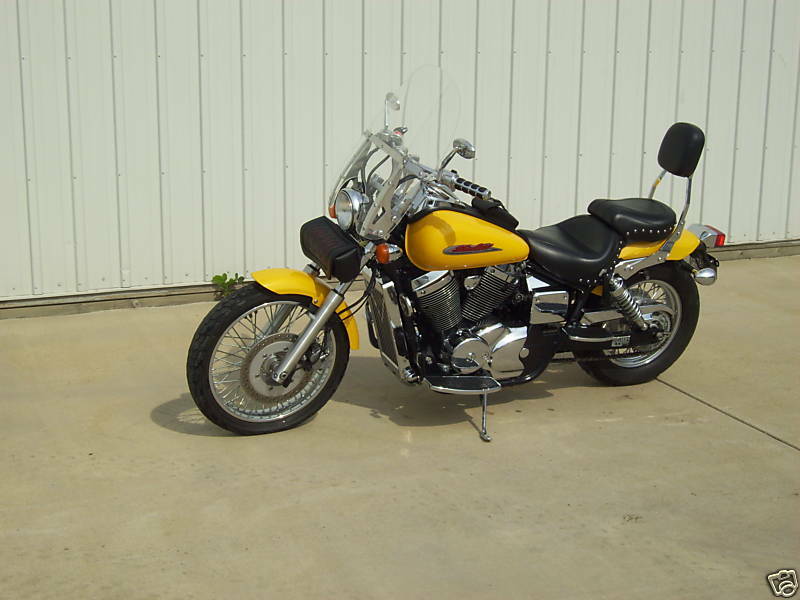 It’s a yellow 2002 Honda Shadow Spirit 750 with 7K miles. I call it “Bumble” since it’s yellow (like a bumblebee) and it bounces on the road a lot (and in the words of Yukon Cornelius, “Bumbles bounce!”). It has floorboards for the rider as well as the passenger (which I will probably never use), Kuryakyn grips (with the little tab thing so I don’t have to keep gripping the throttle on long trips), a good windshield, and a Mustang seat. Yes, a Mustang seat. I know, why did I take the bucket seat out of a Ford Mustang and put it on my motorcycle. Ha ha. Yes, you are very funny. No, seriously, it’s a Mustang seat. So that’s the vehicle situation. I want to sell the Grand Am, and I plan on listing it on Craig’s List. 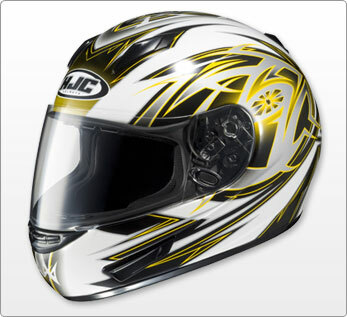 If it sells, then I will be riding my motorcycle when there is no snow/ice, and the temp is above freezing. When it’s too cold or snow/ice happens, then I will drive the van to & from work. Since we carpool with a family in the next subdivision, Kim only needs the van in the afternoons to pick up the kids, and for going to church. I just don’t think we need to have two cars anymore, at least not in this economy. Speaking of which, I didn’t think the economy would affect me all that much, since my job is taking care of sick people, and sick people don’t care if they have no money, they still come to the hospital. Well evidently not, because our census has been down since May/June, and my overtime has all but evaporated. I still sign up for OT shifts, but 90% of them get cancelled because the hospital doesn’t have enough patients to need me. Since our budget calls for me to work one OT shift per week (since Kim is not gainfully employed), this has presented a problem. We have had to do some serious shifting of payments, postponing bills, asking for deferrals, etc, just to get through the summer. It got to the point where, this week, I thought I didn’t have enough baking powder to make homemade biscuits, until I remembered that we had some self-rising flour. And our neighbor’s put a box out with the garbage yesterday showing they bought a 42” HDTV. Ah well. Since I am sick of waiting for the OT situation to fix itself at work, I am trying to find a part-time job so we can meet our obligations. Hopefully I find one in the next week or so. We have been praying that God will provide the money. At first I was praying that God would increase our census at work (so they would need me to work OT), but then I realized that I was praying for more people to get sick. I decided it would be better to just ask God to provide however He wants. Our church had Vacation Bible Adventure (most places call it Vacation Bible School). We had a circus theme this year, and it was great. We drove tent stakes into the pavement (we got new pavement right after VBA was over) and set up a circus tent. At least one child trusted Christ as Savior (at least that’s all I can remember right now)! We have since had families visit our church because their kids came to VBA. The bad news, as most of you know, is that my wife had a miscarriage this month. We found out she was pregnant on June 2nd, and we waited until June 25th to tell people (she had a very early miscarriage a year ago, and we didn’t want to tell people too early). We had an ultrasound on July 16th when she was 11 weeks along, and we thought everything was fine. Then she started spotting and we went back for her next OB appt on Aug 12th, and they couldn’t find the heartbeat. The ultrasound showed that the baby had died, and had not been growing for three weeks, in fact. We scheduled Kim for surgery the next day (since she has a family member who almost died with a miscarriage due to blood loss) so that everything would be done in a hospital setting. She recovered fairly quickly (at least physically), and we go in for her 3week post-op visit next week. So there’s that. Our “Dinner for Six” program at church is still going strong. This is where one couple hosts two other couples in their home one night a month. So you are a host for one month, then a guest for two months, so everybody gets to host. We weren’t able to host in July, so we combined our group with the group in August, and we had “Dinner for 12” at someone else’s house. We brought some food and they made some food. Not everybody came, but that was to be expected. We also got to go to someone else’s house two days later for the August dinner. Our kids started school this week. Our youngest started kindergarten and she is very excited about school. I’m back to teaching Sunday School, but this time, instead of the Junior High class, they combined Jr and Sr high, and then split them by gender. I teach the Jr/Sr high boys class. It’s a lot of fun, and I think they are learning things. Speaking of learning things, I am in the process of signing up for the Masters of Science in Nursing program at Indiana University. That’s right, I’m going to be a Hoosier. I’m still rooting for the Hawkeyes (in the Big 10), but I will (God willing) have a degree from IU. This would allow me to become a Nurse Practitioner. The hope is that I could make more money, or at least make the same amount without working nights and weekends. Right now we are in the process of transcript review and figuring out what classes I need to take. I will probably start taking classes in January. Well, that’s just about it. I’m sure I missed something, but that pretty much brings us up to date. On a political note, President Obama is still messing up the country and disregarding the constitution. On a spiritual note, God is still on His throne and is still in ultimate control. Even so, come, Lord Jesus.